Dr. Gurza is very proud that you have selected our office to obtain information about your orthodontic concerns and we are looking forward to the beautiful changes that will transform your smile. It is important that you know certain aspects and procedures of The Brace Place. All three of our offices are open Monday through Thursday 9:00 a.m. until 5:00 p.m. & Friday 9:00 a.m. until 1:00 p.m. For some types of visits, evening and Saturday appointments can be arranged. After hours emergency serviceis also provided by our office. Our business staff includes our patient coordinators, Angela and Vinny, who will answer your calls, provide you with introductory information and help guide you through the new patient process. They will also greet you on your first visit with us. Our dental hygienists and PDA assistants work directly under Dr. Gurza's instructions to aid in efficient and thorough care. Your initial visit will take about one hour and will consist of a visual examination followed by discussion. Detailed diagnostic records, including orthodontic radiographs, dental molds and photographs may also be taken at this time. Please bring any radiographs and models given to you by your dentist or previously taken records. Is there a problem with function and appearance of teeth, jaws, face or jaw joints? When or why should treatment be started? How will the problem be corrected? What is the estimated treatment time and how much will it cost? The answers to these questions will be provided in your Brace Place folder, prepared for you on this visit. After your initial examination, if Dr. Gurza determines a problem exists and requires treatment, we will order necessary radiographs and arrange for orthodontic diagnostic records to be done. There is usually a fee for this procedure, which includes the following visit. Your following visit, you (and your parents if you are a minor) and Dr. Gurza will discuss details and specifics of treatment and options available. This is a very important and educational experience, because at this time treatment will be finalized. The Brace Place offers many types and styles of braces including clear removable retainers, metal and ceramic braces, and Invisalign. We also have a wide range of colours for retainers and metal braces. Ask about our new 'fast' metal braces. The usual treatment time is approximately 2 years, but this varies with the extent of the condition, the age of the patient and the stage of development and maturity. The Brace Place covers patients of all ages starting around 6 years of age. No one is too old for successful results. Treatment ranges from simple correction of crooked teeth to complex jaw surgery. Dr. Gurza also performs skeletal corrections, treat TMJ (jaw joint) pain, and correction of craniofacial defects. There will be a few times when visits are scheduled during school or working hours. Only a few visits are over 30 minutes and most short visits are done after 3:30pm. Fees are determined by the degree of difficulty of the condition, the skill required, the anticipated length of treatment and an assessment of individual cooperation. In general, current fees for full braces or Invisalign will range from $4,000 to $6,000, spread over a number of years. Payments can be arranged in several different ways. Simple no-interest bearing payment plans with a manageable down payment and a low monthly installment is the most common payment method. Customarily, the down payment is due at the start of treatment. All fees can be paid by Visa, cash or a series of post-dated cheques. Alternatively, third party orthodontic financing is now available and can be arranged through our office. If you have orthodontic insurance, please bring your benefit information so we can complete the appropriate forms for you. 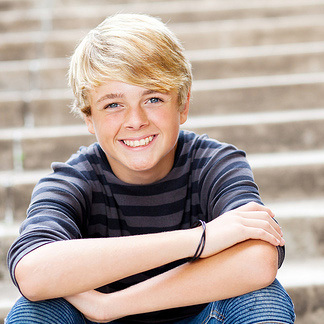 An Orthodontic Pre-determination form is required if you have orthodontic (braces) coverage. We will provide this for you. We are looking forward to The Brace Place being your orthodontic office. Contact us to schedule your initial consultation. The degree of success we obtain in your treatment will greatly depend upon you, the patient. We will work with you each step of the way to empower you for success with your smile goals. Anything less than your best efforts will keep us from achieving the optimal result. Keep in mind, every missed appointment delays finishing by that missed amount of time, or more!